We are not only committed to providing our clients and customers with a superior product but with options for a healthier lifestyle on-the-go. The Healthy Vending program provides a selection of food and beverages that will satisfy your hunger without the extra calories. You can incorporate healthy products into any vending program. 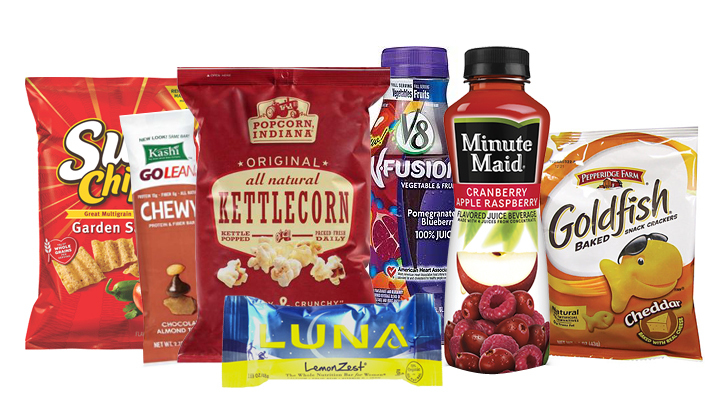 Our Healthy Vending program supports the Alliance for a Healthier Generation ( or AHG for short) by offering a wide variety of AHG compliant products. What is the AHG Criteria? Low or no calorie beverages: 10 calorie cap/8oz. Low or no fat milk or milk equivalent: 150 calorie cap/8oz. and ≤ 12oz. 100% juice with no sweetness: 120 calorie cap/8oz. and ≤ 12oz. Light juice, sports drinks and others: 66 calorie cap/8oz. and ≤ 12oz.